Rajasthani Mirchi Bada is a very popular snack of Rajasthan. It is prepared mostly in rainy and winter season. 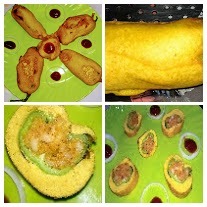 It is made by filling potato stuffing in big green chili, dipping in chickpea flour batter and then deep frying. These Large green chilies are available in Rajasthan only. That is why it is prepared in Rajasthan mostly. Nowadays, Super Markets are there, Maybe these Large chilies are available there in all the states. 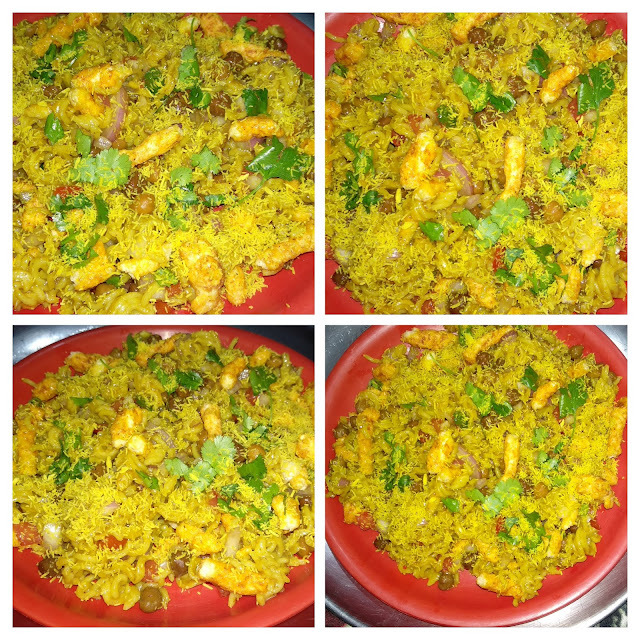 But I must say it is very delicious and spicy in taste So let us start. Boil the potatoes for 1 whistle and let them cool. Wash the green chili, pat dry and slit them from one side. If you don t want it more spicy, you can remove the seeds also. Mix all the ingredients of batter in a bowl and whisk for 2-3 minutes and keep it for 15 minutes. Meanwhile, grate the potatoes, you can also mash them, but lumps should not be there. Add all the spices, finely chopped onion and green coriander and mix well. Fill the potato stuffing in the chilies properly. Heat refined oil in a pan. Whisk the batter once again for 2-3 minutes. Take care, we need a thick batter for this dish. So don t add more water to the batter. 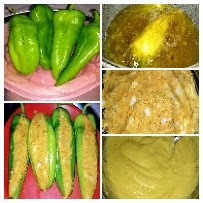 Now dip the stuffed green chili in the batter and deep fry on medium-low flame till it become light golden in color from both the sides. 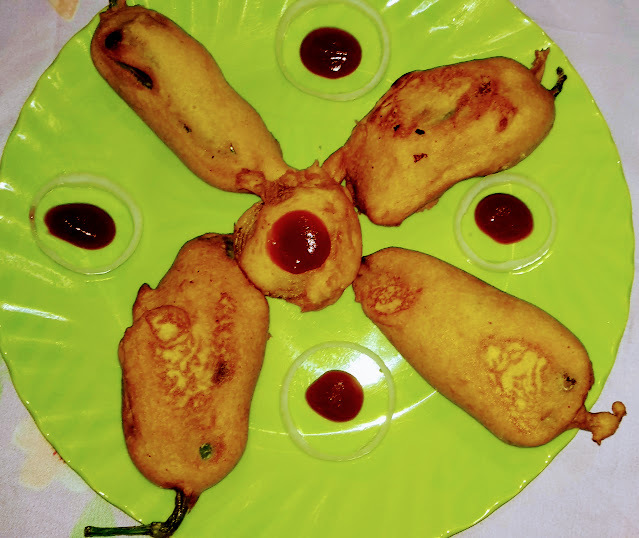 Tasty, spicy Mirchi Bada is ready.